TAGGARTS - SCOTLAND'S FINEST LAND ROVER DEALER With three showrooms between Glasgow and Motherwell, we're ideally situated to service Scotland with an exceptional selection of new and approved used Land Rover models, competitive business leasing and a comprehensive service list. SHOP NEW AND APPROVED USED LAND ROVERS We stock the full range of new Land Rover models, including the All-New Discovery Sport, the sure-footed Land Rover Discovery and the sleek Range Rover Evoque. Our experienced sales professionals are familiar with all the unique characteristics of each model and can offer you plenty of advice on the best way to achieve all your motoring goals. You may also be interested in our approved used cars, which have been tested on-site by our qualified Land Rover technicians. Our range of pre-owned vehicles is always expanding so you are sure to discover your ideal model online or in-store. When you're after low mileage, transparent service history and a competitive price tag, Taggarts Land Rover will tick all the boxes. Our customers come back time and time again for annual MOTs and repairs. That's because our staff are welcoming, our technicians are knowledgeable and our prices are extremely competitive. Plus, our comprehensive stock of genuine Land Rover parts and accessories means we can turn your car around quickly and effectively. HIGHLY CAPABLE COMPANY CARS Land Rover builds strong, sturdy and striking vehicles perfect for dealing with your every business need. Our dedicated commercial team can take you through the extensive options for company cars ideally suited to your organisation's unique cargo-carrying, people-carrying and marketing priorities. From eco-friendly vehicles to enticing promotions, choosing a company car or business fleet from Taggarts Land Rover will save you money, time and stress. CONTACT US TO START YOUR LAND ROVER JOURNEY TODAY Whether you're deciding on your next Land Rover, reconsidering the message your business sends on the move or looking to maintain your existing car's peak performance, our customer service team is on hand to help you take the next step. Please get in touch with the dealership nearest you. A leader in temperature controlled, hygienic and fire-rated builds ACT provide a full range of services including design, development, construction and installation of temperature controlled, hygienic and fire-rated environments. We specialise in bespoke projects, tailormade and overseen in every detail by experts to ensure they meet clients’ highest expectations. In January 2014, BAGNODESIGN opened their first fully franchised retail premises, set to be the companies flagship retail showroom in Scotland and Europe. This new venture in the UK has the primary objective of servicing the retail and development market with an industry leading service from concept to completion. By opening it’s doors to the retail market BAGNODESIGN have further stamped their sterling international reputation for delivering the very highest standard in design, products and installation. The franchise adds to the BAGNODESIGN portfolio and draws on their experience of working on large scale world renowned projects, which have seen BAGNODESIGN products specified in some of the most prestigious global projects. Design is an integral part of realising your dream bathroom. The directors of our Glasgow showroom have a wealth of experience in the industry, in both design and installation, with talents that compliment each other. Using the very latest in design and CAD technology a photographic representation of the final concept is produced, allowing our clients to clearly visualise the end result. Our expert installation department will transform your ideal concept into a reality. Through expert project management, our clients receive the highest standard of customer care and attention, at all stages of the process making your BAGNODESIGN experience a pleasurable journey. The flagship Bathroom Showroom in Glasgow boasts 1500sq.ft of the very latest products on offer, with 7 large lifestyle displays alongside an architectural specification area where the public and trade can view and compare all BAGNODESIGN products. For generations, for generations Established in 1815, for two hundred years, Walker Laird has been providing legal services to clients in Renfrewshire and throughout Scotland. We also offer a full estate agency service. Our aim is to provide a comprehensive service to all our clients, whether individual or commercial. Our success is based on maintaining the highest standards from your first point of contact with the Firm to the conclusion of your business. The firm has a team of experienced qualified solicitors and we employ more than forty support staff. Unite Against Cancer (SC043017) is a Scottish registered charity that raises money to support individuals fighting cancer, fund research into new cancer treatments, and promote strategies for cancer prevention. The charity was inspired by Christopher Smith who passed away, after a 2 year battle with osteosarcoma, at the age of just 17. Osteosarcoma is a rare type of cancer that affects bone, and is more common in older children and teenagers; the causes for this particular type of cancer are poorly understood. Unlike osteosarcoma, much more is known about the causes, or risk factors, for more common types of cancer. Fortunately, many of these risk factors can be modified with lifestyle changes. Motivated by the experience of losing a loved-one to cancer, the team at UAC are particularly passionate about raising awareness of the role of lifestyle in cancer prevention so that fewer people have to go through a similar experience. We are also keen to support those fighting cancer, and, where possible, help to alleviate their suffering. 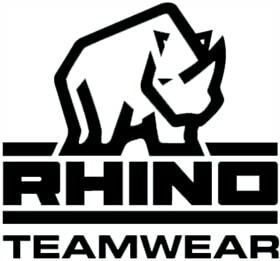 RHINO Teamwear make some of the finest clothing for all sports, including rugby, football, hockey, lacrosse, netball, basketball and volleyball. Whether you play the cold and rain or the heat and sun, we have the clothing that performs in tandem with your body. We give you the cutting edge over your competitors. RHINO is one of the leading brands in the world and is extremely well known in the rugby world. RHINO is currently official supplier to England Rugby, The Welsh Rugby Union, Bath, London Wasps, Cardiff Blues, St Helens Rugby League and The British & Irish Lions. And the Hawks. Wm Pringle & Son are a family run business established in the 1960's as Agricultural Contractors then diversifying in the 1990's when they decided to concentrate solely on Road Haulage and Distribution. Wm Pringle & Son has the experience and resources to provide a reliable and cost--effective service to companies throughout Scotland and the UK. No matter what your product is, we can deliver it to anywhere in the UK.